Promises here, promises there and promises even at the United Nations Conference especially, “elimination of all forms of discrimination and inequalities, and establish a society based on social justice and human security.” In keeping with the promise given to the UN, the government has succeeded in securing three consecutive awards within a short time span. The ‘Gintota Award’, the ‘Ampara Award’ and the ‘Digana Award’. Even the Rajapakshes would be put to shame by this sterling performance. Violence was perpetrated in all these three places against the Muslims causing losses amounting to several millions of rupees. The government has become fragile after the recent local government elections. The unexpected shock win by a relatively newly formed party upset all horses in the race. To an already deteriorating situation the three ‘awards’ add lustre to an otherwise lacklustre existence. A super recipe for the ultimate downfall is meticulously being concocted. Whether one likes it or not or, however much one is desirous of juggling with numbers, the election results indicated either a failure or a marginal pass for the government. For the people, it was a breach of the simple Memorandum of Understanding (MoU) that they had agreed upon namely, you give me your vote and I shall deliver the goods. The specific performance on the part of the government to bring to book the murderers and corruptors was breached. The matter was taken up in the people’s court and the verdict is a reflection of people’s assessment of the breach of the MoU by the government. Had the so called Yahapalana government done what it is now doing after a lapse of three years in rule, the election results may have been different. It may be possible that the three ‘award ceremonies’ (riots) too would not have taken place. The message that the rule of law is being strictly enforced would act as a strong deterrence. Public pressure moved the government to come up with the proposed amendment to the Judicature Act No. 2 of 1978, sub judice, for the establishment of a Special High Court. The Trial at Bar without a jury, where a three-judge bench could hear cases filed against persons relating to various acts of corruption, fraud and white-collar crimes. A fast track procedure without compromising on the legal principles of being just, fair and reasonable. Of course, those who are conscious of what they had done in the past must be feeling the heat closing up. Seven petitions have been filed challenging the constitutionality of the bill. All is not that bleak though some analysts do predict that the government will lose 2020. The ensuing less than two years is not all that gloomy provided the government takes serious, effective and meaningful steps towards what is expected by the masses. Maithri and his coterie did a big mistake by their belligerence against the partner in government during the election. They reaped the harvest in no uncertain terms for their unwise and myopic venture. A second chance still remains for this lot to make amends and continue with goodwill with their partners and vice versa. Out of the box thinking, fast implementation, marked efficiency and establishing the rule of law will undoubtedly yield good results. Stability needs to be ensured by all sides within the unity government undertaking this challenge with a sense of camaraderie. Most of all this partnership government should have the interest of the nation and its people as their primary consideration. As much as the people can be wrathful they also can be grateful. The latter however, must be earned not by mere empty and insincere speeches made in front of an unwilling crowd, who generally, are present at such events not by choice. The Joint Opposition (JO), through its cult worshippers, has established some credibility and it can lose this trust if it indulges in anti-nationalistic adventures like union strikes through its proxies, violence between communities etc. It will be in the interest of the JO to keep Sri Lanka in a state of continuing instability until election time. If not, at least work towards weakening the position of the unity government. Thereby not permitting the government to carry out its governmental duties and functions. Causing tension and arousing sentiments of the public with ulterior selfish motives could lead the country towards anarchy. Death and destruction will be inevitable given the hostilities and revengeful mind set of the Sri Lankan people. A country, where a traffic accident can result in a full blown racist carnage if, and, only if, a Muslim is involved! The upcoming no-confidence motion against the Prime Minister Ranil Wickremesinghe is an onslaught never to allow the dust to settle. It has also been well timed with the current determination in the Supreme Court of the proposed amendment to the Judicature Act No. 2 of 1978. The JO should exercise extreme caution having the interest of the country foremost and not resort to destructive pathways. Conflicting though, I am reminded of a Sinhala proverb, “Like the one asking for feathers from a tortoise”. (ඉබ්බාගෙන් පිහාටු ඉල්ලන්නා වාගේ). The strategy is clear that is to redirect the government efforts and, the precious less than two years’ time, in solving problems rather than in development and welfare of the people. Come the end of the second lap, nothing delivered! Petty, selfish, power hungry and opportunistic politics of the politicians have been well established in the minds of the people. 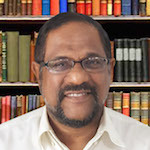 Apart from the cult worshippers of JO and the irrationally blind followers of the SLFP and UNP, a refrain heard from the common neutral man is (mung dennama horu. Kawuru awoth ekai). Both are rogues. Whoever comes, it’s the same. These sentiments cannot be summarily dismissed as such. Behind it lies a serious statement made by the general public. On the one hand the disgust over the continuing state of affairs in this country from the day of Independence and, on the other, the depravity of the politicians. Ranil, the aristocrat in his outlook, is endowed with intellect but pathetically out of touch with the grassroots. Maithri the typical humble goviya can relate himself to the person in the village and has experience. Both must get together shedding their differences and steer this partnership in a manner beneficial to the country. Maithri must display more Statesmanlike characteristics. He should be decisive and stop whining. He should keep the leeches and parasites in their proper places. The warning is clear, be it the unity government (the UNP and SLFP) or, the Joint Opposition unless the cards are played wisely and constructively they are bound to lose in the fray. The people are aware and are capable of distinguishing between cheap third grade power politics and its opposites. What Kind Of A Nation Are We? SriLankan Airlines Cannot ‘Overfly’ RTI – RTI Commission Rules! Right now, One Sinhala Catholic or christian, he is not buddhist explains in CT that there is a muslim struggle to islamize KANDY. On the other hand, Sinhala buddhists in Kandy are fighting back. So, Sinhala politicians can not hide for ever. Even though Ranil’s voter base is mostly Tamil and Muslims, I do not think even Ranil can allow muslims to do waht ever they want. Because muslims and Sinhala voters vote him out. I am an ex-Catholic and I think I will be eligible under your criteria. It is obvious what happens in Kandy as the main city center entirely gobbled up by Muslim business people. In fact anyone who would visit Kandy on a Friday afternoon might think that he has come to a Muslim town. This is not an isolated case. Many towns around the country are facing this encroachment. It is in fact not to be feared if Muslims behaved in fair manner. But they are using every trick in the book to be competitive and undercut Sinhalese businessmen. How did the Muslims manage to gobble up Kandy although there has been a whispering campaign among Sinhala/Buddhists lasting a long time demanding their fellow Sinhala/Buddhists to refuse selling their properties to Muslims? Where are the patriotic racists, where have they gone? They should start buying these properties before blaming, looting and burning down their properties. You should demand the Sinhala/Buddhist racist president to nationalise all Muslim/Tamil owned properties in this island. They should not invest their hard earned money in properties depriving the Bhumiputras, the Lazy Bums. Sinhalese started refusing to sell properties to Muslims very recently. Up until that time, Muslims were buying up strategic properties all around the country using Oil money. That is how they have managed to gobbled up Kandy city center entirely. We would have if we had a treasure trough of Oil money with us. We are not stupid like you. Is it a crime to be successful? Just because we Sinhalese are always trying to bring down each other we should not think that others should follow. It is true that if we want to succeed we have to do it together as a community and as a nation. Collaboration is inevitable. We have to learn the good practices of successful people or sets of people and emulate them rather than trying to bring them down as well. We should learn to not to make life unnecessarily hard for each other an be each others keeper. This is something Buddhism does not teach us, but other religions emphasize on this a lot and therefore they seem to prosper. What is good is good, change is the only constant, I think its high time we changed ourselves too. There is nothing wrong with being prosperous and happy. As long as you tolerate the Sinhala/Buddhist fascists in this island I can guarantee you these restless bigots will never ever allow rest of the people to live in peace without conflict and prosper. The majority of the people including Sinhalese, Tamils, Muslims, Buddhists, Hindus, Christians should be tough on these thugs. Catholics live peacefully with Buddhist through out the island. It is time that rest of the minorities learn how to do it. No it is not a crime to be successful. However, it is not nice to use Oil money to undercut their competitors. You people cry fowl over State is providing it’s patronage to Buddhism but you can’t even raise a finger for Muslims countries promoting Islam in Sri Lanka through Oil money. Are you a hypocrite? Buddhism does not teach on how to govern a country. You can never govern a country through the use of Buddhism. So don’t bring false arguments here. Yesterday BBS launched a terror attack in France killing 4. What Kandy experienced is what France is experiencing. Same dirt everywhere. Hope that the ordinary Muslim folks will be capable of understanding cheap third grade power politics played by Muslim politicians who are one of the most selfish lot among politicians. As the saying goes their behavior is according to the direction towards which the thing worn on head turns. Always jump to the winning side for their personal gains, not for the benefit of the ordinary folks. It is Muslims who ignited all these three incidences so that they can bargain with the Government making the Government vulnerable. These incidences give the opportunity for Muslim politicians to score points showing that they are the saviors of Muslim people. Sinhala Buddhists are paying the price for the blunder committed by King Senerath. This guy Jim Softy has a serious mental problem. Editors, please go through all his comments. He is reflecting disgusting, aggressive racial views on all articles. His comments make readers to lose the focus of articles and read useful comments.He is a victim of modern globalized imaginary of other religions. I am not against the right to express opinions. But this guy should simply not be allowed to publicly write racial comments. He is trying to tarnish religions. As long as Sri Lanka is blessed with these types of blind people, no use of going behind peace and reconciliation. The best course action is to ignore highly developed moron Jimmy. If you just ignore his typing and see how you feel about non attachment to Jimmy. MAss L USUF: I know the gtovt for politic reasons relased the four Muslims killers who killed the Sinhala Driver and the other man. I thinjk Ranik Rajapakse those people are residing in Digana area, but, they are not arrested, insteead comphensation is paid for revenge attacks, that should be a complete political issue for Ranil. Don’t let your bitter life experiences rub off badly on Buddhism. I have a right and an obligation to point this out. You can do and say anything but don’t do it in the name of religion or race. Please take note that Buddhism does not recognize extremist, terrorists, anarchist or arsonists as people on the right path. It may help you if got psychiatric help. See a good doctor, ask for help, no condition is permanent. You still have hope.